When it comes to winter holidays, we believe the key ingredients are excellent hospitality and Europe’s most beautiful, snow-covered scenery. We’ve been combining these – and providing holidays on the ‘quiet side of the mountain’ – for well over 30 years now, so we believe we can offer you something a great deal more memorable than a standard trip to a busy ski resort. 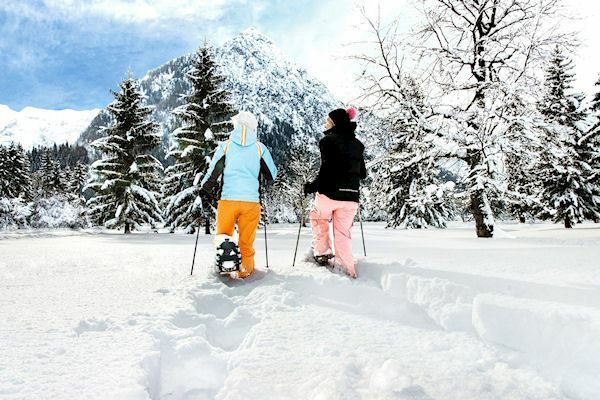 Our aim is to help you enjoy the snow amid some truly idyllic locations. We particularly love cross-country skiing, but there’s so much more: downhill skiing on uncrowded slopes; snowshoeing, walking or mushing huskies through silent forests; magical Christmas markets, or, with a little luck, a sight of the miraculous Northern Lights. 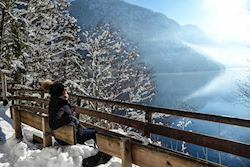 There is something magical about crisp, snow-covered landscapes glistening beneath a deep blue sky and, from the grandeur of the Alps to the wild drama within the Arctic Circle, you will be astonished by the beauty of the regions we offer and by the tranquil charm of the villages we have chosen. Our hand-picked hotels cater for every taste, and whether you choose a cosy hotel with a special intimacy or a stylish 4-star hotel with a spa and swimming pool, you can expect high standards of comfort and first-rate hospitality. We choose not to use ‘reps’, as our hoteliers – most of whom we have worked with for many years – are superb hosts. “The most difficult thing about today was choosing what to do. 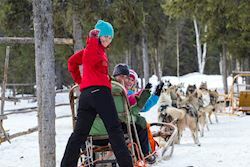 There were inviting cross-country trails and downhill runs, forests ripe for exploration on snowshoes, an ice rink for skating – or even curling – and a fun-looking toboggan run. We opted for a gentle cross-country trail around the lake before an afternoon’s walking trail to a superb viewpoint – the silent grandeur of it all took our breath away. Now, after relaxing in the pool and spa, we’re anticipating a tasty evening meal before a nightcap by the fire and another sound night’s sleep. Then we will face the same delicious dilemma all over again tomorrow morning." 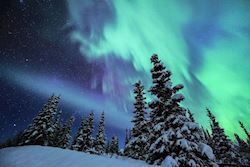 Nothing can quite prepare you for the staggeringly beautiful natural phenomenon of the Aurora Borealis – the Northern Lights – as explosions of iridescent greens, pinks, yellows and blues flash and soar across the night sky in an incredible, almost surreal, display of celestial pyrotechnics. For some of the highest chances of seeing the Northern Lights in mainland Europe, head to Tromsø, deep within the Arctic Circle and on the same latitude as Alaska and Siberia. By day, you can explore this historic island city, its iconic cathedral and its fascinating museums, or take your pick of the wide-ranging activities available locally, which include dog-sledding, snowshoeing and reindeer safaris. When darkness falls, go in search of the aurora borealis, accompanied on your second night by an experienced and enthusiastic local guide. They are elusive and hard to predict, but witnessing the colourful swirls of light dancing across the inky black sky is an experience you will never forget.